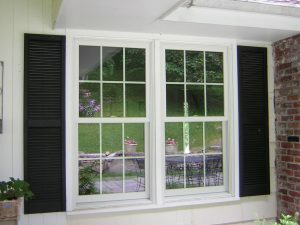 For top-of-the-line replacement windows, homeowners in Putnam County, New York, trust Renewal by Andersen of Westchester and Fairfield County. We’ve been the exclusive regional distributor for Renewal by Andersen since 2005, making us the only company in the area where you can purchase these one-of-a-kind windows. As a full-service company, we will assist you with choosing your windows, and we will also professionally install them for you. Purchasing our replacement windows is a safe investment for your home in Putnam County, NY, because any windows you purchase will be backed by a 20-year warranty that covers the glass, frame, parts, and labor. After your replacement windows are professionally installed on your home, you can look forward to the many lasting benefits that the Fibrex™ material provides. Made from a vinyl and wood composite, this propriety material created by Renewal by Andersen won’t warp, crack, or rot, and won’t become damaged by fire or water, which means your replacement windows will last for many years. They also won’t fade, flake, blister, or peel, so you won’t have to worry about regular maintenance like re-painting. What’s more, Fibrex boasts better energy efficiency properties than both vinyl and other replacement window options, and it will help minimize the amount of heat that enters and exits your home through your windows. You’ll enjoy a more stable indoor temperature as a result, and your HVAC unit won’t need to work as hard, which could save you on utility costs. If you would like to learn more about our Renewal by Andersen replacement windows and how they can benefit your residence in Putnam County, NY, contact us today. When you call, be sure to check whether you’re eligible for one of our financing options that can make purchasing new windows easier.